Marco Pelusi was extremely kind enough to send me these travel sized samples of his products. I had gotten in touch with him on twitter via Nancy-Lee (fashionCHICsta) and we started emailing. I had asked him if he had any products that would be good for overly processed hair, from the last time I tried coloring my hair. Along with that, I asked if he had any products that also worked with my scalp. It's oily, but I also have dermatitis, frizzy hair and it's dry from the over processing. I'll be danged but he said he had products that would work with all of that! Of course, hello that's a lot to ask of any product. 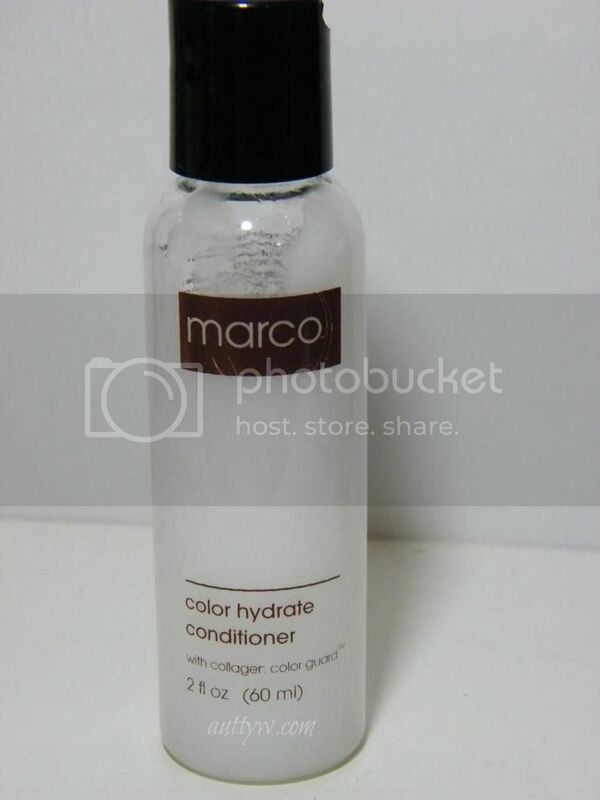 But Marco was confident that his products would work with my hair, but I was still skeptical. 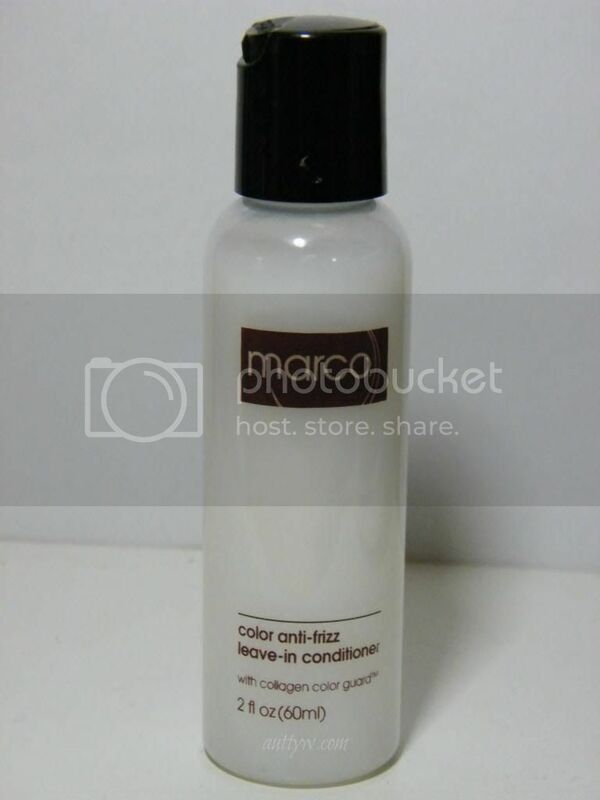 First up we have the Color Health shampoo With Collagen Guard. As you can tell, I dropped the ball on taking pictures of this BEFORE I used it. None the less shall we begin? The website says: Keeps your haircolor healthy, fresh and radiant. A moisturizing shampoo that gently cleanses and infuses the hair with natural proteins that protect the hair from premature color fade and promotes maximum vibrancy, shine and optimum pH balance. My opinion: The consistency of this is a gel, for me I LOVE this shampoo. You definitely get the peppermint scent right off the bat and I love that. I love peppermint scented anything. This doesn't foam, but it does have sulfates in it. For color treated hair, sulfate free shampoos are the best to use, but I found that my color didn't fade at all with this shampoo.Which is awesome. even though this doesn't lather my scale felt exceptionally clean, but not dried out. Even though I've previously stated that I would never buy a $20 shampoo, you know what I'm a convert. I would so totally buy this shampoo. With this being a travel sized shampoo you would think you wouldn't get many uses out of it. 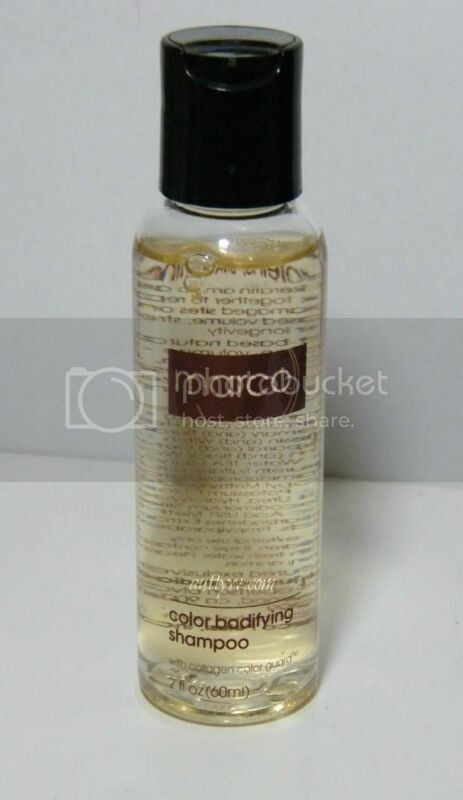 What you see in the bottle is after about 7 uses and I have long hair. 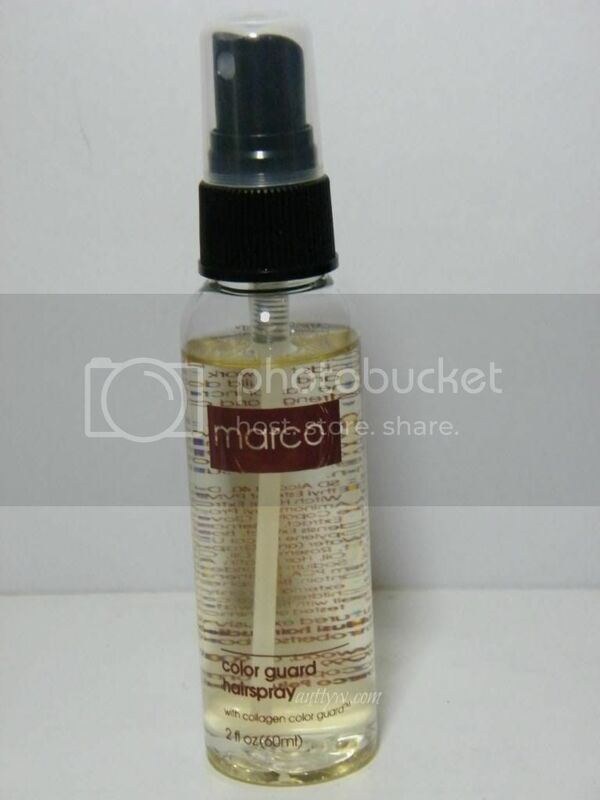 The website says: Hydrates, energizes and refreshes your hair for better-looking, longer-lasting color. A restorative conditioner uniquely formulated to replenish the hair with vital moisture while increasing volume, manageability and shine. apricot essential oils smooth, condition and mirror our natural sebum/hair oils, adding shine, slip and lubricity. The website says: A luscious, volumizing shampoo specifically formulated with natural proteins and botanicals to boost hair body, thickness and luxury, as well as prevent premature color fade. chamomile, comfrey and black walnut herbal extracts texturize, heal and restore hair health. This is the product I can't give you a review on because I haven't used it. It's hard to comment on something you haven't used. I'm waiting to finish the other shampoo before I tried this one. The website says: Delivers flexible hold and root lift while protecting hair from premature color fade. includes panthenol usp for shine and smoothness and Aloe Vera for moisture retention and healing properties. The website says: Adds lift and definition to waves and curls while preventing hair from premature color fade and providing added volume to smooth, straight styles. Unique concentrated water-soluable and alcohol-free gel leaves hair smooth and manageable, and creates a healthy environment for the scalp. I know this looks barely used but trust me when I tell you that this was used 7 times as well. Just like the shampoo and conditioner. I add this into my hair routine when it's wet and I blow dry it in to help with the frizz and fly aways. Since this is a little bit more liquidy then a gel, I don't mind it being more liquid then actual gel because it's easier to get in my hair and it doesn't weigh it down. Now I've got thin hair and the fact that this doesn't weigh it down is fantastic to me! You don't smell the peppermint or clove but you can smell the rosemary and borage seed. It's not overpowering at all thankfully. Since I blow dry this into my hair it helps keep everything down and in place. In fact I also find that I get some extra volume with it! The website says: This signature product is an exclusive anti-frizz formula that repairs, restores and rebuilds, leaving the hair and scalp comforted and protected. An ultra luxurious, light and airy leave-in conditioner expressly formulated to replenish the hair’s own natural reserves to boost condition, as well as haircolor longevity, vitality and tone. Tames curly, coarse hair while allowing for easy comb-thru and a smooth, healthy appearance. This is the product I was looking forward too the most. I've got dry ends because of my hair being fried and I've never tried a leave in conditioner because I was never sure how it would go with my hair. I put this in my hair before I put the gel in. Yes, I put it in my wet hair and I blow dry it. This has made the BIGGEST difference in my hair. This doesn't weigh it down either, so woohoo about that! The biggest difference I have noticed in my hair is that it looks a lot healthier. It also feels softer and my ends don't look so scraggily and horrid. This has to be my favorite product out of the entire line by far! I absolutely love 5/6 products because I've not tried one of the products. Have you tried anything by Marco Pelusi?! 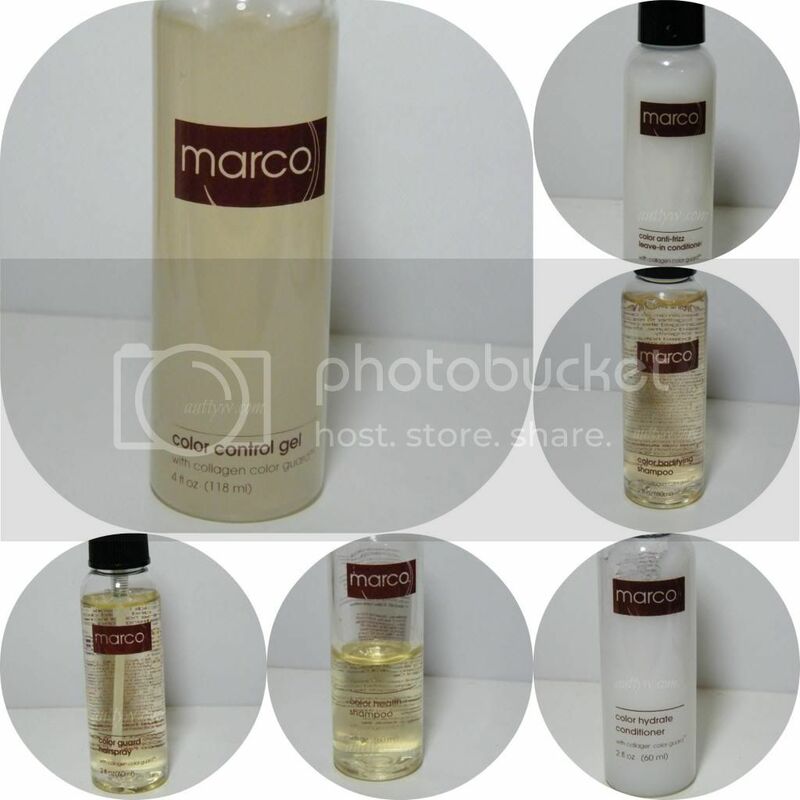 I can't thank Marco enough for allowing me to try his products! Disclaimer: These products were sent to me for free. 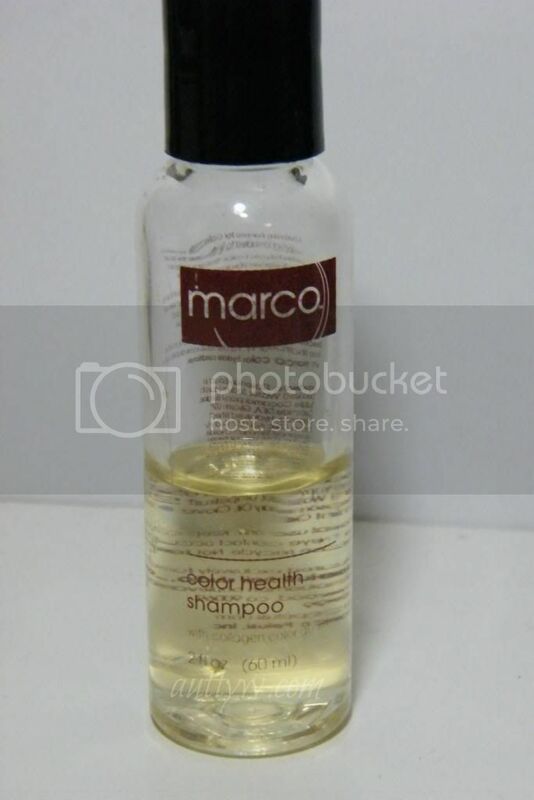 I am not affiliated with Marco Pelusi hair care products nor am I being paid to write this post. The only compensation I got was to keep the products.